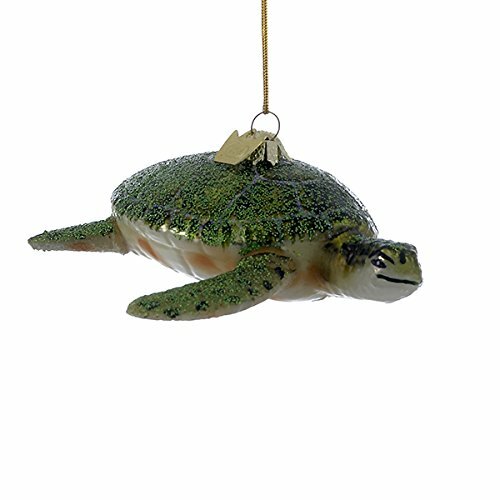 Bundle Pack of 8, Kurt Adler Noble Gems Sea Turtle Ornament by Kurt Adler at Two Clock. MPN: Bundle-NB0626. Hurry! Limited time offer. Offer valid only while supplies last. This Noble Gems Sea Turtle Ornament by Kurt Adler is a unique way to add to any holiday decor or Christmas tree! SAVE BIG WITH OUR BUNDLE PACKS! View More In Pendants, Drops & Finials. This Noble Gems Sea Turtle Ornament by Kurt Adler is a unique way to add to any holiday decor or Christmas tree! SAVE BIG WITH OUR BUNDLE PACKS! Having a Christmas Party, Wedding or Special Occasion? This Bundle Pack is Deeply Discounted So You Can Fill Up Your Christmas Tree Or Have Those Perfect Party Favors At Affordable Low Prices! Kurt Adler Specializes In Beautifully Detailed Christmas Ornaments And Holiday Seasonal Decor Designed Exclusively With Your Needs In Mind! NOTE: Bundle Pack Includes a total of 8 pieces. Club Pack of 24 Red and Gold Gem Drop, Finial and Onion Christmas Ornaments 6.5"